Are you paid a salary or an hourly rate? If you were terminated or laid off, what was the reason your employer gave you (even if you did not believe it)?  If your complaint is about sexual harassment or discrimination, have you filed a claim with the EEOC or Ohio Civil Rights Commission? If your complaint is about unpaid wages, what kind of wages do you believe are due? If salaried, do you believe you are/were properly classified as an exempt employee? If not, why? Were/Are you classified as an independent contractor? If yes, do you believe you should be/should have been classified as an employee? If so, why? Did/Do you normally work over 40 hours per week? If yes, how many hours per week did/do you work on average? Did/do you get paid time and one-half for your overtime (hours over 40 in a week)? Are there other current or former employees that are in the same situation?